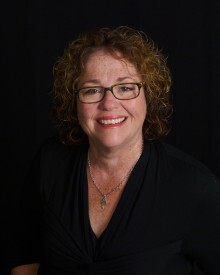 Elyse holds a certificate in biblical counseling from CCEF (San Diego) and an M.A. in Biblical Counseling from Trinity Theological Seminary. She has authored 22 books on daily living and the Christian life and is a frequent speaker at women’s conferences. 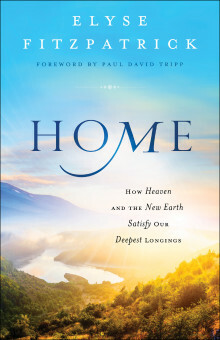 In this world of trials, weariness, darkness and loneliness, we often feel adrift, longing for the one place we really and truly belong … HOME. The new earth, the place God has been preparing for our eternity with Him. In Home, Elyse takes readers beyond heaven to our final destination — the new earth, the place God is preparing for our eternity with Him. It’s a real, physical place of beauty and wonder beyond our imaginations and free of sin, death and decay. A place we’ll explore with real, physical bodies. A place often misunderstood or altogether unexplored by even the most faithful of believers. Is there a general lack of understanding about the ‘new earth’ amongst Christians? What are other books on the afterlife missing? What is it that the authors of books who claim to have seen heaven can’t tell us? Elyse M. Fitzpatrick is a retreat and conference speaker, bestselling author and Director of Women Helping Women Ministries. She has been married for over 40 years and has three adult children and six grandchildren. Along with her husband, Phil, Elyse is a member of Valley Center Community Church, a reformed congregation in the community of Valley Center, CA (San Diego). VCCC is a member of FIRE, the Fellowship of Independent Reformed Evangelicals.